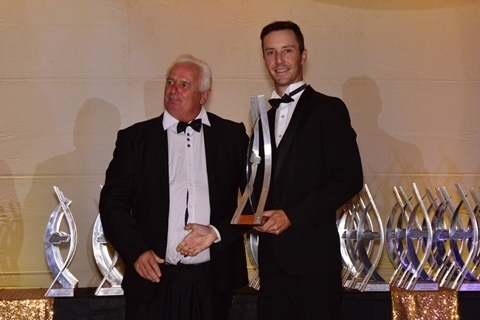 Johannesburg – No fewer than six competitors and two officials who call the Killarney International Raceway home were among those honoured for their achievements at the annual Motorsport South Africa gala evening on Sunday 9 December. The glittering event was hosted by TV personality Marius Roberts and the guest of honour was 2016 Moto3 world champion Brad Binder. 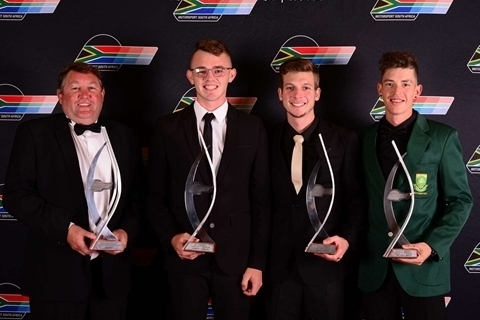 Brothers Charl and Kyle Visser scooped a national title apiece – Charl as SA Rotax Junior karting champion and Kyle as SA Rotax Mini Max champion – while Jason Webb was crowned 2018 SA Supadrift Series champion. 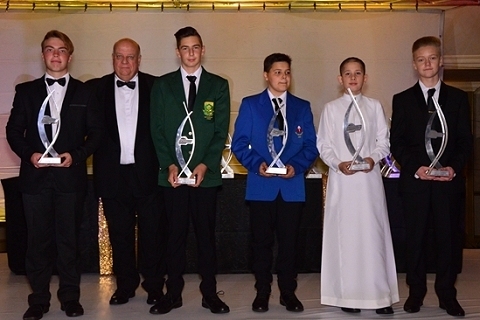 On two wheels, Kewyn Snyman aced the SA SuperJunior title, Reece Robertson walked away with Superbike Shootout honours in the SA Drag Racing series and Sam Lochoff was awarded Senior National Colours for his achievements in World Superbike 300 racing, receiving the prestigious green blazer from from his hero, Brad Binder. 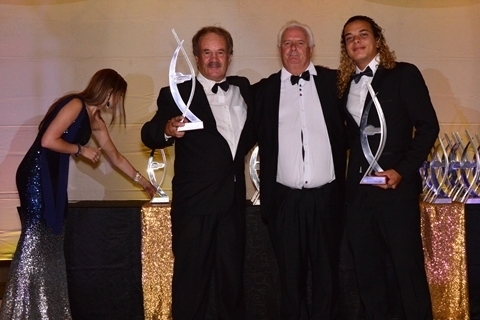 Among the officials who make motorsport possible, Jan Thorsen received a special award for his outstanding contribution to off-road motorcycle racing at both grass-roots club and national championship levels, while Albie Fourie, a life member of the Western Province Motor Club, was recognised for his 50 years of marshaling at events ranging from oval track racing to national championship meetings. Jason Webb (right) is the 2018 SA Supadrift Series champion. 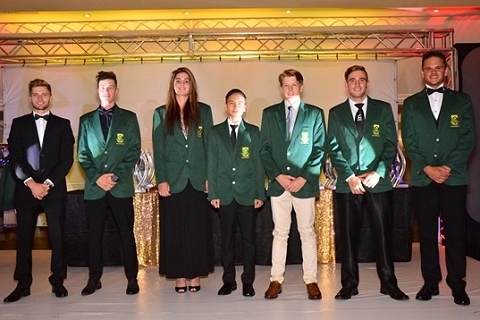 Sam Lochoff (he’s the little one in the middle) was awarded Senior National Colours for his achievements in World Superbike 300 racing, receiving the prestigious green blazer from from his hero, Brad Binder, at far left. Reece Robertson (right) walked away with Superbike Shootout honours in the SA Drag Racing series. Charl and Kyle Visser (third and fourth from left) were crowned SA Rotax Junior karting champion and SA Rotax Mini Max champion respectively. Kewyn Snyman (centre) aced the SA SuperJunior title. For high-resolution versions of these pictures email Jaco Deyzel: jaco@motorsport.co.za.